Eliminate dropped calls in their new 30,000 sq.ft, two-floor, cement office building. Cel-Fi QUATRA deployment consists of 1 NU, 4 CU’s and a MIMO Panel Antenna to enhance the donor signal. • Up and running within hours following the one-day, third-party installation. • Improved cellular data rates and no longer experiencing dropped calls. • Flexibility to expand for the growing office space. 2-1-1 San Diego brings community organizations together to help people access the services they need, while providing valuable demographic and trend information for planning purposes. The organization provides referrals for utility, housing, food, health and wellness, and military and veteran services, including subsidies and benefits. 2-1-1 San Diego also helps facilitate the enrollment process for accessing services at the county, state, and federal levels, such as CalFresh and the Affordable Care Act. 2-1-1 San Diego relies heavily on donor support, which means executives spend a lot of time having discussions with potential contributors. Although the contact center is powered by its own landlines, 2-1-1 San Diego otherwise considers itself a BYOD organization where executives rely on their cell phones to have important conversations. When 2-1-1 San Diego moved into a new 30,000 sq. ft., two-floor, cement office building, some of the executives using AT&T as their mobile carrier began to experience dropped calls. Battistel was introduced to Nextivity and its latest product offering Cel-Fi QUATRA through mutual contacts. It is a hybrid solution that combines the best of active DAS and Cel-Fi Smart Signal Booster® technologies. At the hub of the Cel-Fi QUATRA system is a Network Unit (NU), which provides the donor signal and provides Power over Ethernet (PoE) and RF over Ethernet (RFoE) to up to four Coverage Units (CU) to provide indoor coverage in spaces up to 50,000 sq. ft. per system (more systems may be used for larger spaces). Cel-Fi QUATRA CUs are the remote radio heads of the system that rebroadcast the donor signal. The 2-1-1 San Diego solution deployed consists of one NU, four CUs, and a MIMO Panel Antenna to enhance the donor signal. 2-1-1 San Diego configured Cel-Fi QUATRA to operate off-air, distributing the external macro network signal throughout the building into areas it didn’t reach to maximize coverage and performance. 2-1-1 San Diego was up and running with Cel-Fi QUATRA within hours following the one-day, third-party installation to run Cat5e cables between the two floors. 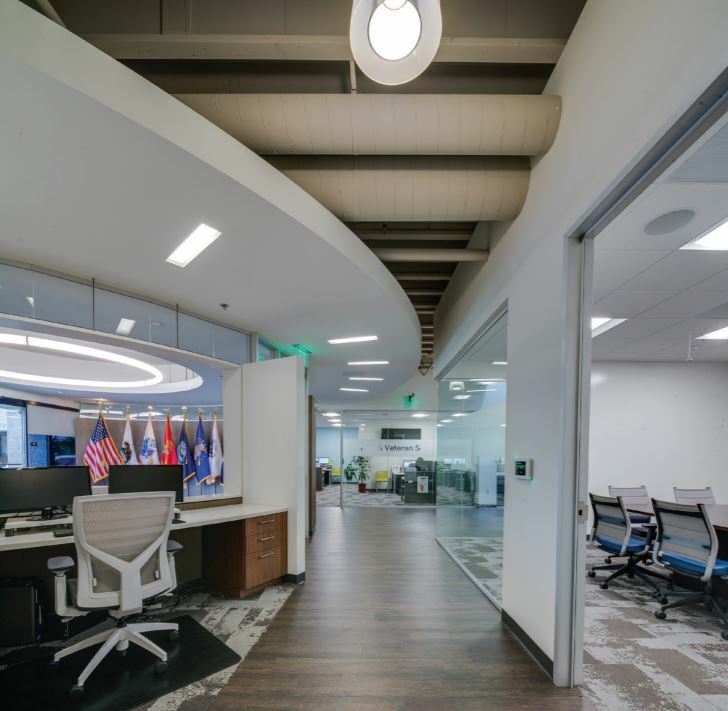 “Since installing the Cel-Fi QUATRA system in our office, we have seen much faster data rates and are no longer dropping calls,” said William York, Executive Vice President of 2-1-1 San Diego. 2-1-1 San Diego will also soon reap the benefits of the Cel-Fi WAVE application, a remote monitoring and management platform. 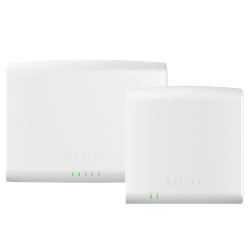 Cel-Fi WAVE gives both 2-1-1 San Diego and AT&T real-time updates into the state of the Cel-Fi environment. This allows them to proactively manage the Cel-Fi QUATRA system from the convenience of the cloud. Easy to deploy at the lowest cost/sq. ft.